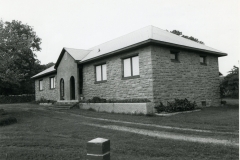 A two-room building originally, the Patterson school is a single story, rectangular (80′ x 27′) structure constructed of rusticated and coursed native sandstone. 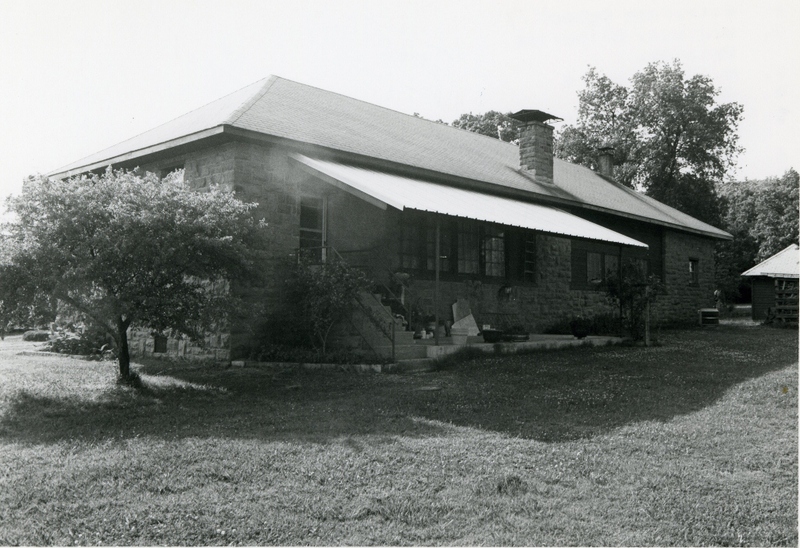 Now covered composition shingles, the roof is hipped; the two door, front entryway is recessed and covered by a porch with gable. A two-arch facade of poured concret has been added to the porch front; and to the rear of the building has been attached a metal awning. The eaves have also been extended slightly, and the rear windows have been reduced in size with wood inserts and more energy efficient windows installed. None of these alterations impeach the integrity of the building, which is beautifully maintained and a model of adaptive use. 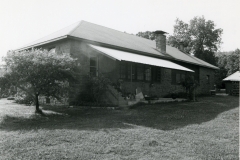 The school building is significant because construction of it provided work opportunities for unskilled and unemployed laborers whose families faced malnutrition if not starvation before the creation of the WPA. It also created a new environment conducive to learning for students previously deprived educationally because of decayed classroom facilities. 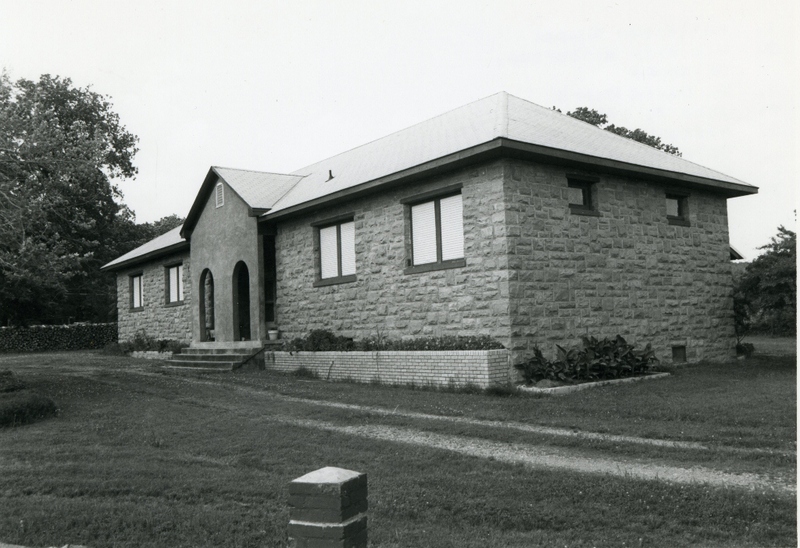 Architecturally the building is unique in the community because of its type, allusion to Richardsonian Romanesque style, scale, materials and workmanship. VERBAL BOUNDARY DESCRIPTION: Follow state highway No. 2 northwest from Wilburton for approximately two and one-half miles to the second paved county road going west; turn west and go approximately three miles to the school property on the north, which is described as a tract that begins at a point 1452.2 feet east of the NW corner of Sec. 34, T 6 N, R 18 E, then runs south 330 feet, then east 264 feet, then north 330 feet, then west 264 feet.